At the proposed district’s well-attended public hearing in March 2011, proponents of designation included local elected officials, preservationists, and some residents. However, several property owners and a representative of the Real Estate Board of New York testified in opposition, expressing concerns about the negative economic impacts of designation. At Landmarks’ June 2012 meeting, Chair Robert B. Tierney praised the district, finding that it possessed “a sweeping sense of architecture,” and he recognized the community’s commitment toward preservation. Tierney, however, acknowledged that not everyone would agree with the designation, but stated that designation would not be “a freezing operation.” The other commissioners agreed, unanimously endorsing the district extension. 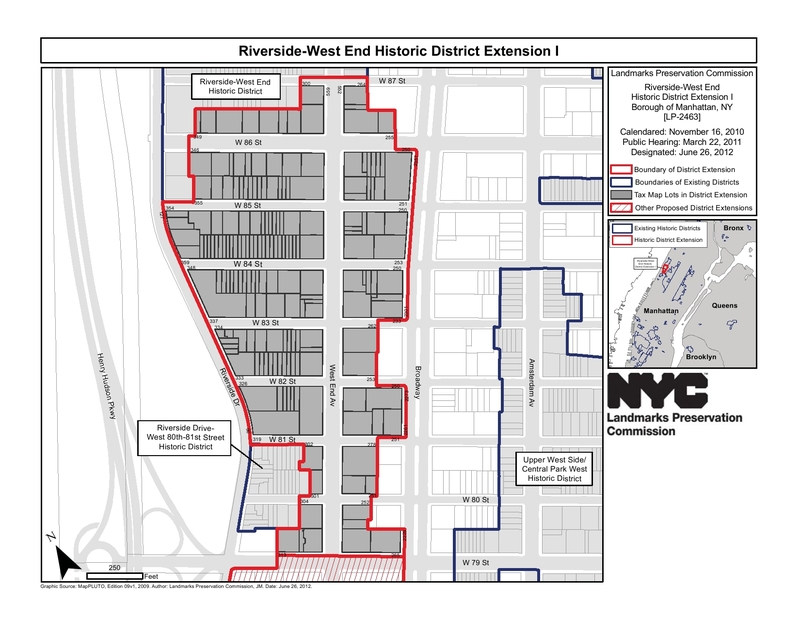 LPC: Riverside-West End Historic District Extension I, Manhattan (LP-2463) (June 26, 2012).